With no time remaining in the game, Denver Broncos rookie quarterback Tim Tebow rushed toward the endzone and would eventually score his first touchdown as a professional, though his team still fell 33-24 to the Cincinnati Bengals. Nevertheless, it was an exciting play to end a week in which many of the former Florida Gators selected in the 2010 NFL Draft were able to see the field in preseason action. Here is a short synopsis of how they fared in their respective professional debuts. This is the best website ever! Awesome rundown of NFL Preseason Week1. Can’t wait for Week 2. Indeed, today reminds us that it’s great to be a Florida Gator. McShay and Kiper can officially bite it. We cheered so loudly our dogs started howling and cheering with us! As usual, Tebow destroys a couple of defenders as he gets into the end zone. Did people really expect anything less out this man just because he’s in the NFL now? Tebow is, and will always be, a SUPERBEAST! Thanks for the great post, it’s hard to get defensive numbers. Gators had a really strong showing this week. I didn’t see Spikes or Wright, but the stats are incredible especially Spikes. Glad that Tim got that last series. He’s not there yet, but he was certainly better than I thought he’d be. Quinn is really bad though, as is the Broncos second string left tackle…wow. Unfortunately Orton looked like a stud. Reggie Nelson also showed up, and Derrick Harvey did alright. Good week. Thanks for the post. This website is quickly becoming my main source for all things Gator. 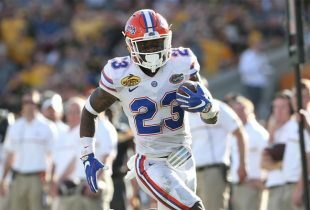 My three bookmarked Gator sites are onlygators, gatorsports and gatorcountry forums, but informative and comprehensive articles like the one above makes oggoa my favorite. OGGOA is the best!!!! I check this site 4-5 times a day…..I know that if anything related to the University of Florida is going on in the world, Adam will have the info on it….Great job Adam!!!!!!!! Really appreciate the kind words everyone. Means a lot. Very exciting to See Tim-MAY under center in the league last night. He blew up two guys on his way into the endzone. Just another day at the office. Tim is still dropping the ball way too low when he throws. OGGOA is on alert to my crackberry – every time you post I stop and get my Gator fix. Thanks for feeding my addiction.